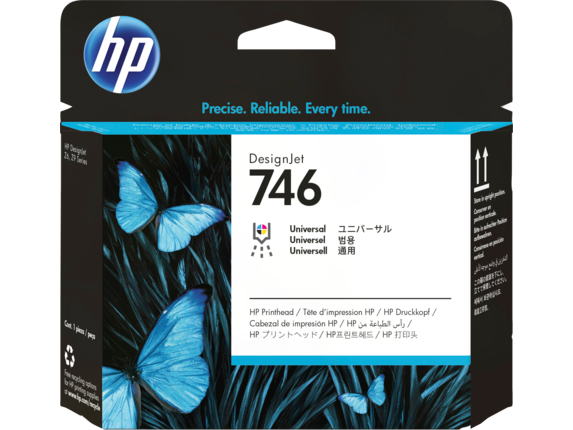 There's no need for light color inks using high-definition HP printheads with dual drop technology. True 2400 nozzle-per-inch high-definition nozzle architecture (HDNA) provides twice the nozzle density. 1 Chromatic HP Vivid Photo Inks compatible with HP DesignJet Z9⁺ PostScript® Printer series only. 2 Compared to previous HP DesignJet Z-series printheads. 3 Based on internal HP testing. Up to 2.5 times faster printing compared to the HP DesignJet Z3200 Photo Printer series. May vary depending on print mode and media type. 4 Visit http://www.hp.com/recycle to see how to participate and for HP Planet Partners program features and availability; program may not be available in your area. Where this program is not available, and for other consumables not included in the program, consult the Material Safety Data Sheet (MSDS) available at http://www.hp.com/go/ecodata to determine appropriate disposal.